VanDusen Botanical Garden is jointly operated by the City of Vancouver Board of Parks and Recreation and the Vancouver Botanical Gardens Association, a charitable non-profit organization. The two organizations have worked together for more than 40 years under a shared vision of making the Garden cherished locally and renowned internationally. Public art, lectures, seasonal blooms, family adventures, courses and other events are inviting visitors to discover the healing power of nature. 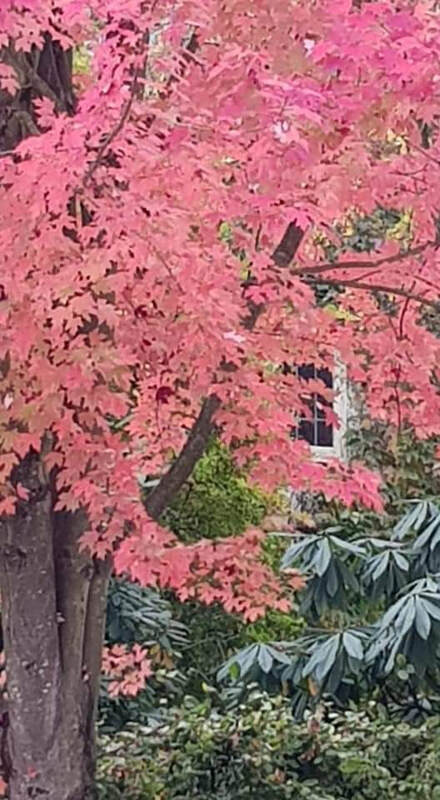 Vancouver Botanical Garden is so beautiful during fall, we could not resist sharing these pictures with you. ​“The garden is a sacred place that allows people to Reconnect with Nature. 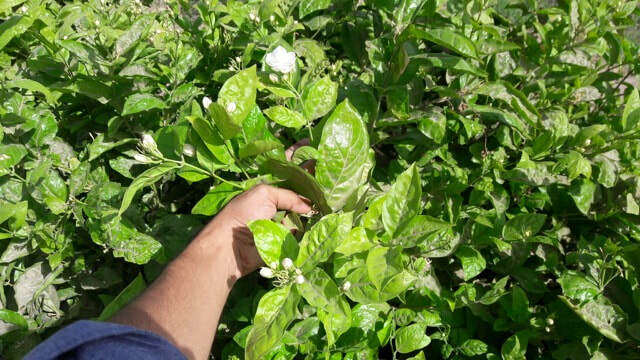 ​The Exotic Garden is at 12km from Rabat, on Kenitra National Road where Marcel François, a French horticultural engineer, started creating his garden on a flat 4,5 hectares of flat land. It is truly an invitation to travel with plants originating in China, Southern Asia, Savana, Congo, Japan, Brazil or Polynesia and demonstrates an allegory to diversity with scenes such as luxurious flora contrasting with arid landscapes. It is a generous work of art from someone who loves Morocco and donated his gardens and house to the Moroccan Government. The Bouknadel Exotic Garden is supported by the Mohammed VI Foundation for the protection of the Environment. C’est à 12 Km de Rabat, sur la route nationale de Kenitra que Marcel François, ingénieur horticole français a acquis en 1951 un terrain plat et nu d’une superficie de quatre hectares et demi. 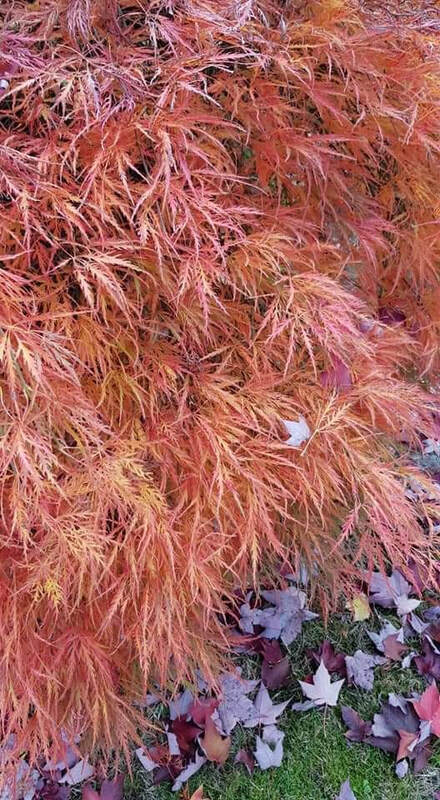 Son jardin est une invitation au voyage avec des plantes et des jardins évoquant la Chine, l’Asie méridionale, la Savane, le Congo, le Japon, le Brésil ou la Polynésie. Une allégorie de la diversité avec des ambiances contrastées alliant flore luxuriante ou paysages arides… Une œuvre généreuse d’un amoureux du Maroc qui a cédé ses jardins et sa demeure au gouvernement marocain. Les Jardins Exotiques de Bouknadel sont soutenu par la Fondation Mohammed VI pour la Protection de l'Environnement. Process your own Herbal Remedies ! If you’ve ever wanted to grow and process your own herbal remedies, I’ve got great news! You still have time to join medical herbalist Chanchal Cabrera in her never-before-offered 7-week video training, Growing Your Own Herbal Medicine. 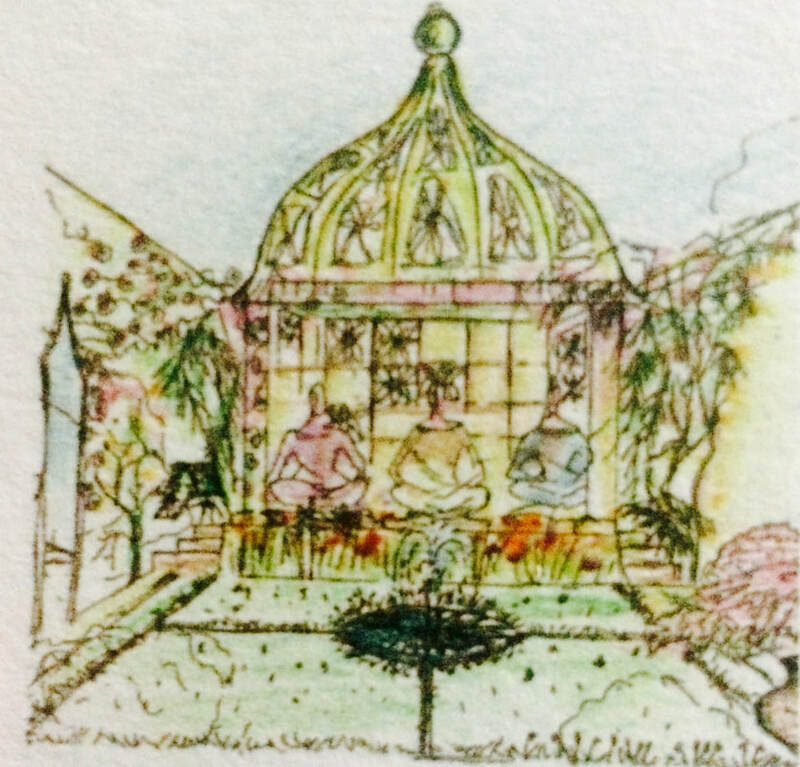 Chanchal’s second class is this Tuesday, July 10, at 5:00pm Pacific. When you enroll, we’ll send you a link to access the complete video and audio recordings of the first class session, as well as the full transcript. ​In this information-packed video training, you’ll actually spend time with Chanchal in her apothecary garden, in her flower garden, and in the nearby forests so you can actually see what Chanchal calls “the stars of the show” — the numerous herbs, vegetables, and flowers growing there. This 7-week training is for beginner, intermediate, and advanced herbalists who want access to information that isn’t taught in standard herb classes or books. Chanchal is also a passionate advocate for nature’s calming and curative benefits — simply being in their presence is healing and rejuvenating. Too many people, she says, suffer from Nature Deprivation Disorder. 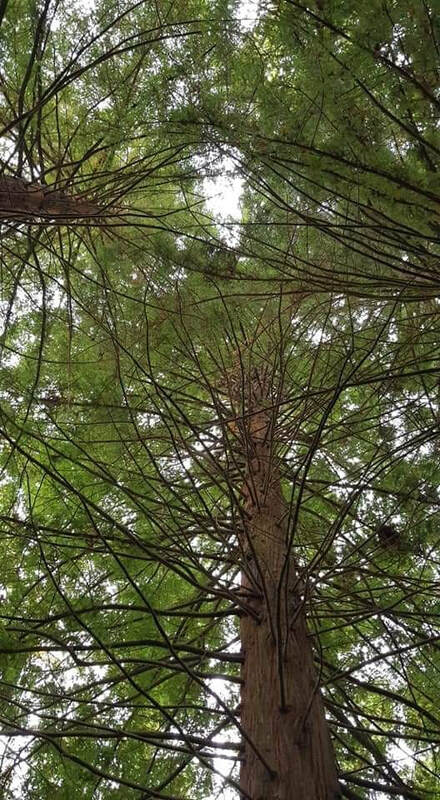 If you enjoy spending time in nature, and basking in the restorative atmosphere of forests, wildlands, and other natural areas, you’ve experienced firsthand that plants can put you into a state of deep communion with the natural world. Truly, she says, "plants are to people as water is to plants — simply indispensable"​. International Bee Day 2018 is April 29. Let's add colors to bee’s lives in replanting flowers and plants they like. If you don’t have a garden, add some plants or flowers on your balcony and a small cup of water for bees. Latest reports were telling that agricultural plays an important role in the development of the health of honeybees. It was found out that the overall health of honeybees is greatly influenced by production in agriculture. Many of our native plants require pollination to spread their seeds from plant to plant, and we depend on bees for agricultural production. They also provide a way to reconnect with nature. By keeping bees in our garden and farms, it's a way for us to engage with our natural environment. 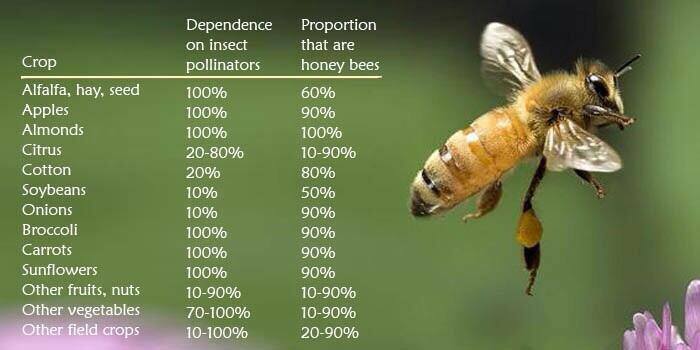 Bees are important not only for their production of honey but also for the survival of our natural foods. Bees and other pollinators are part of our important eco-system allowing us to enjoy fruits and vegetables. Since regulators and politicians can play an important role in forbidding pesticides and promoting natural pest controls, then everyone has an important role to play in the protection of bees and pollinators. The lack of fragrant flower fields on Earth is becoming a real problem for the bees. Replanting flowers on the planet will also support the bee’s work. The Perfume Industry should take a huge responsibility in the current decline of bees. 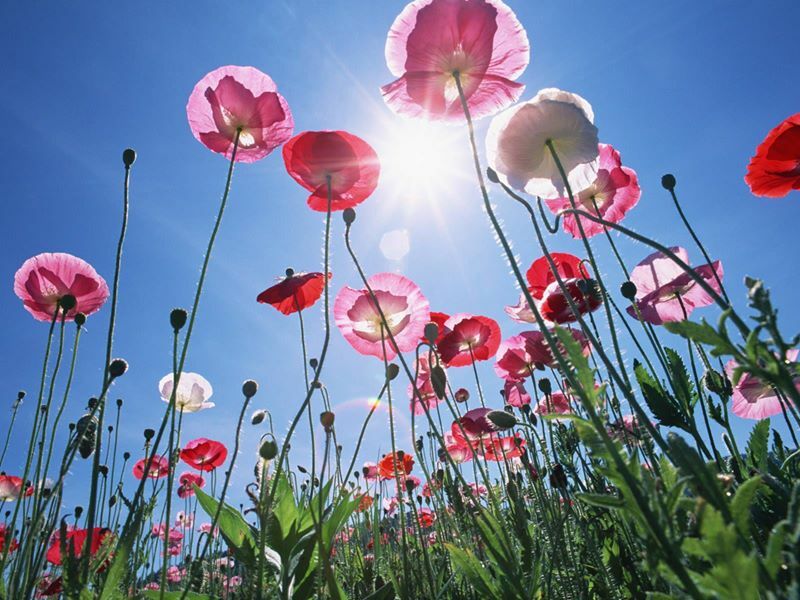 Perfume used to be made from flowers and there were thousands of flower fields all over the planet giving work to millions of people. Since the chemical industry took over the cosmetic industry, flower fields have been replaced by synthetics and brands are giving consumers the image of flowers instead of real flowers. Bees have a very powerful sense of smell, 100 times more powerful than a human’s. Honeybees use their antennae to detect odor. According to research by the National Institutes of Health, published in the "Genome Research" journal, honeybees have 170 odor receptors, or chemoreceptors, in their antennae. This is high for an insect -- fruit flies (Drosophila melanogaster) have 62 receptors and mosquitos (Anopheles gambiae) have 79. The honeybee’s sense of smell is so sensitive that it can detect the trace of a scent in flight. This ability equips the bee to effectively and efficiently locate pollen-rich flowers. Once the scent is detected on the antennae, the bee’s hypersensitive olfactory path processes the information, enabling the bee to determine the relevance of the scent to their search for pollen. Honeybees use their sense of smell to locate other bees and for finding food as well. In contrast to their highly developed sense of smell, the bee’s sense of taste is somewhat basic. They use their tongues, which contain taste buds, to detect sour, bitter and sweet -- the same range of taste detection that humans use -- but since they gather lots of information from smell, enabling them to taste before the pollen touches the tongue, they’ve effectively done all of the research necessary before the sustenance reaches their mouths. Since bees provide benefits to plants by means of pollination, plants have not evolved any defense mechanisms against bees. This means that no plants produce distasteful or harmful pollen. In asking for Natural Perfumes, you can help change the whole perfume industry distribution chain. Asking for Natural Perfumes is, in effect, is asking the perfume industry to return to replanting flowers and plants instead of producing synthetic copies of flowers for perfumes in laboratories. Creating our own little garden could also be a beautiful gift for bees. 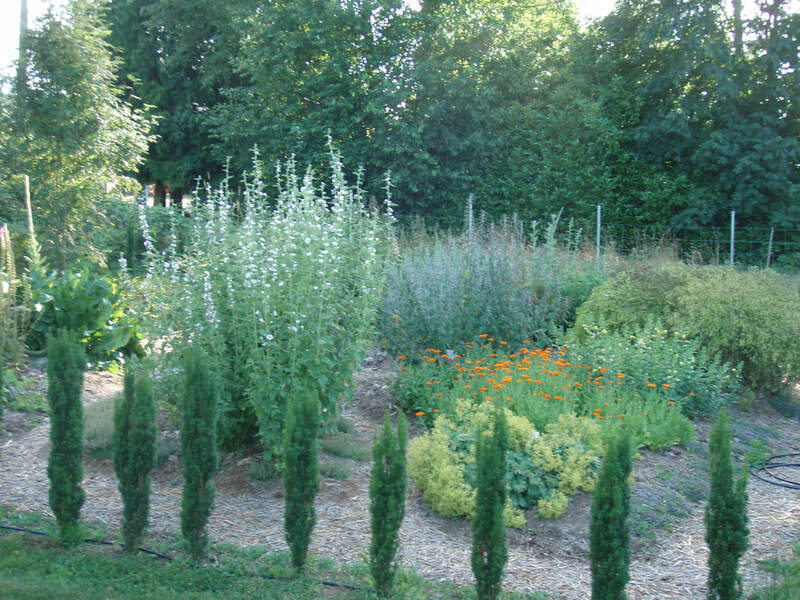 Gardens are healing since plants have beneficial effects on human beings. Creating our own gardens in our back yards or on our balconies will help us to reconnect with nature and make a beautiful invitation for bees and other pollinators. 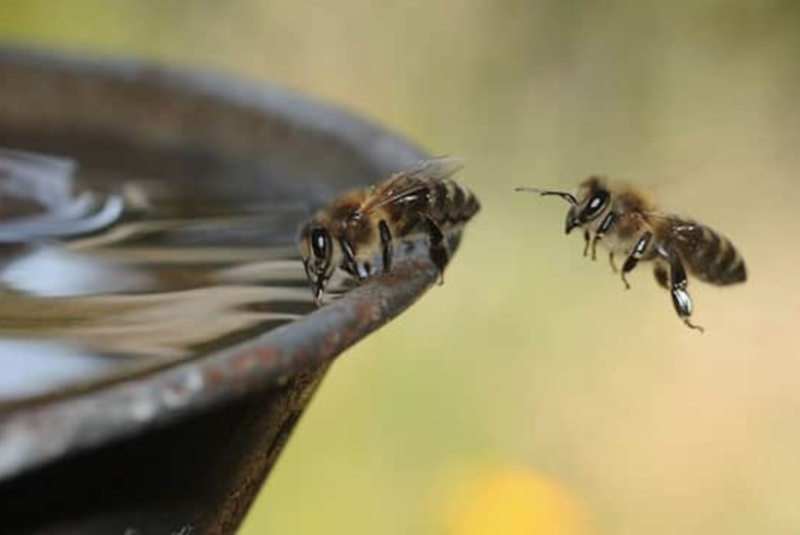 Bees can also be thirsty, so add a small cup of water for them. As strong thoughts are very powerful too, meditate for the bees and visualize them in their full happiness. Join us every year on April 29 to celebrate Bee Day. Send us your activities for Bee Day and we will publish them. 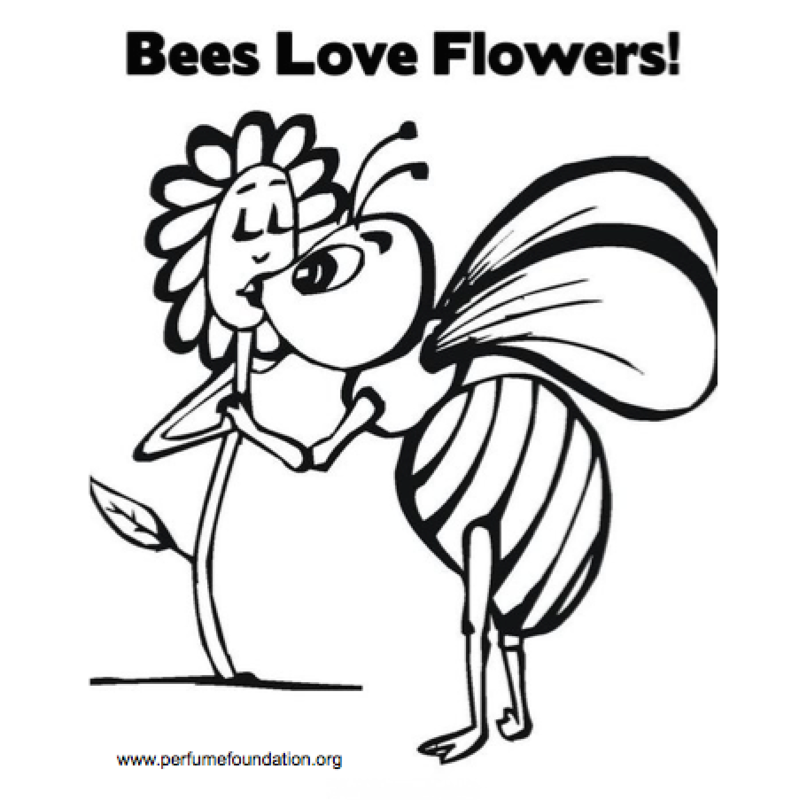 Donate to the International Perfume Foundation to support the flower field replanting program (World Perfume Heritage) for the bees. Today we are disconnected from nature and need to reconnect. Our bodies are calling us to react and we feel we need to reconnect. 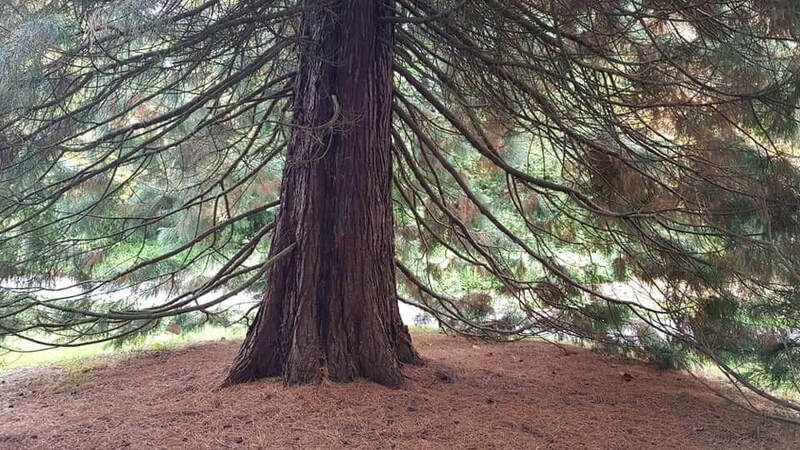 The best way to Reconnect with Nature is to look for Nature in everything. This takes a little bit more time since we first need to determine what is natural and what isn't. To do this, products have to have traceability, which allows us to find true natural products before our purchases are made. Think before buying. Who is making it? How is it made? Where does it come from? Can we trust it? Eat fresh vegetables, fresh fruits and wild herbs, cereals that are not GMO processed and not polluted by chemical pesticides. Eat honey, since bees are producing the best food made with flowers and plants. Breathe Nature. Learn how to breathe. From yoga classes, you will learn how to breathe, using breathing to massage your internal organs. The sense of smell is the most essential sense, and is the first of the senses developed in newborns. We breathe about 23040 times a day but we don't pay attention anymore to the benefits and importance of breathing. Walk in Nature at least once a week. Grow your own fragrant garden. Use the herbs and the plants in your food and understand how they can improve your health. Feel the beneficial power of plants and the energy they will provide you. If you don’t have a garden, spend some time growing a plant inside your house. The care you will give it will help you to reconnect with the vibration of nature. Take a Natural Perfumery 6 months extensive course, learn about the healing power of nature. Your garden is your next pharmacy. In the past many women were perfumers and healers at the same time. They cultivated their garden and obtained the essence of plants and flowers through distillation, maceration or enfleurage. You can learn all these techniques and become a natural perfumer! Join the Natural Perfumery Teacher’s Academy and learn how you can help others in sharing this ancient knowledge and become a Teacher. 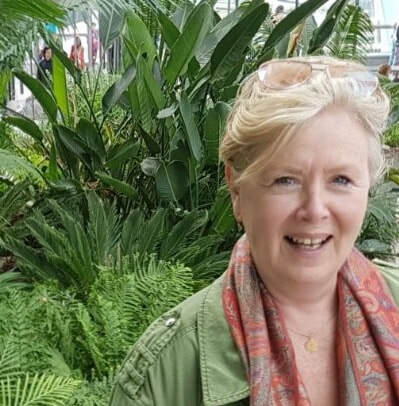 ​IPF is pleased to announce the selection of Rosemary Moore as Director of the IPF Healing Garden Program. 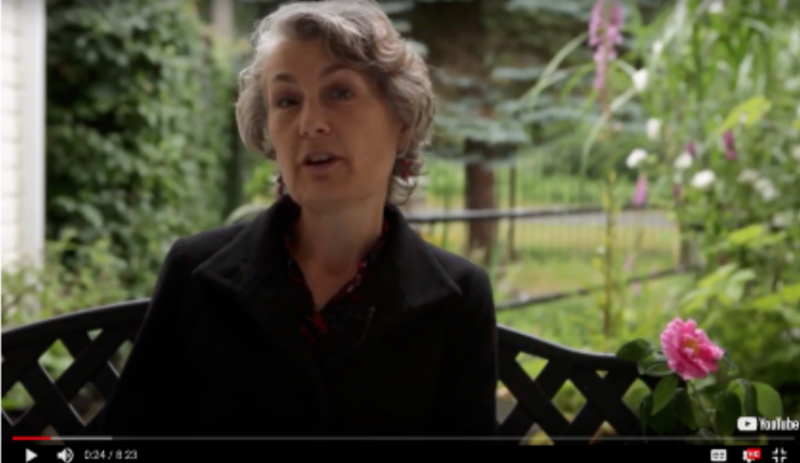 ​Rosemary, an IPF Certified Natural Perfumer and garden expert from the English Gardening School and Garden for the Soul, brings a life-long commitment to improving people’s lives through reconnecting people with nature and healing gardens. As part of the International Perfume Foundation’s Reconnect with Nature Campaign, we have developed the IPF Healing Garden, which involves working with plants, flowers, and soil allowing children and adults to experience the senses, to reconnect with nature by growing and utilizing their own Healing Gardens, and to benefit from the many healthy features of nature and gardening. Something with this many sensors sounds more like a military aircraft than an insect. That's why mosquitoes are so good at finding and biting you. 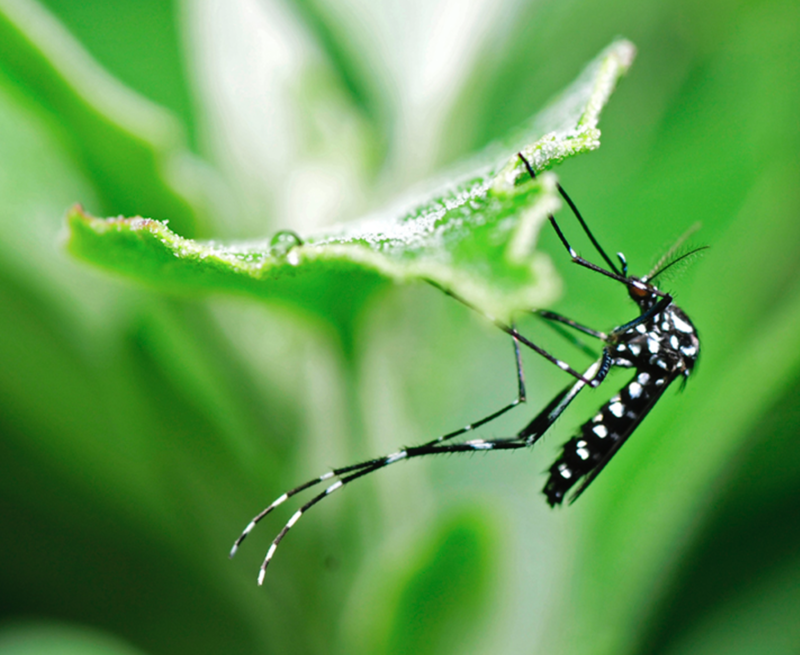 Fragrant plants confuse mosquitoes’ chemical sensors and stop them from finding you. Natural Perfumes are your best friends to protect you from mosquitoes! 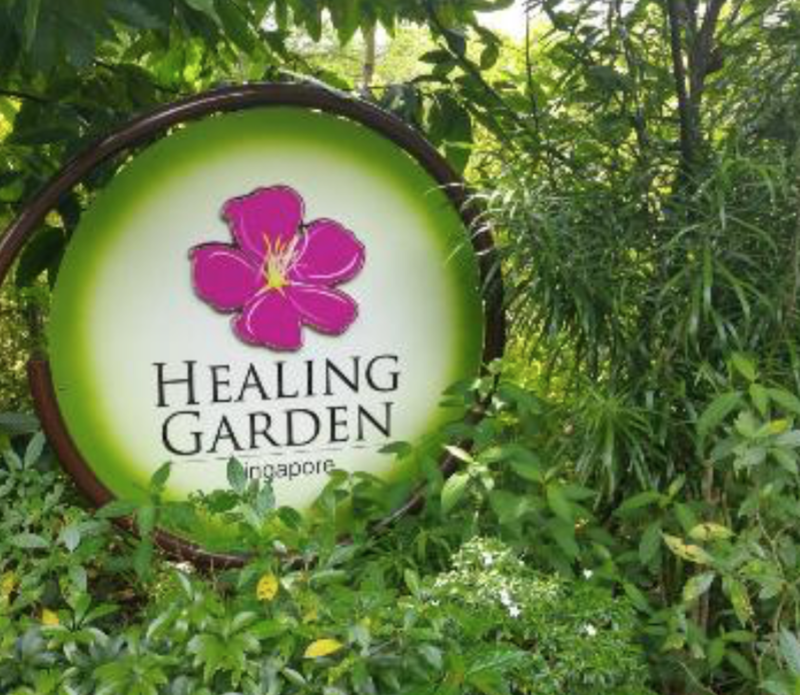 This is one more reason for creating your own Healing Garden! Choose your plants. ​The benefits from contact with nature are now so well documented that they’re showing up on the health care industry’s agenda, and protecting nature can be seen as a public health strategy. ​NATURE IS RESTORATIVE; that’s practically a truism to anyone who loves the outdoors. The effects start within minutes and can be long-lasting, even transformative, when nature works on us over the course of days or weeks. Scientific research now confirms what we already know: We become more relaxed, more open and friendly, and more creative, with better memory and concentration, after being in nature. Nature lowers blood pressure, reduces stress, and bolsters our immune system. In fact, the benefits from contact with nature are now so well documented that they’re showing up on the health care industry’s agenda, and protecting nature can be seen as a public health strategy. The American Public Health Association now urges health practitioners to advise patients to spend more time in nature for exercise and play, and has called for more green space in school yards, medical facilities, and in urban design. Meanwhile, an international movement called “Healthy Parks, Healthy People” has taken root in more than 30 countries. NATURE IS GIVING, it always give without asking something back. Have you ever think about this? Everytime you come back from a parc or a forest, you feel better, relaxed.. Next time you receive from nature, just think about it and say "Thank You! ".